-last, but hopefully not least are the markings "200-R" stamped on the bottom side of the forks. I hope this is in anyway helpful and someone will be able to help. Looking forward to this new adventure with everyone! 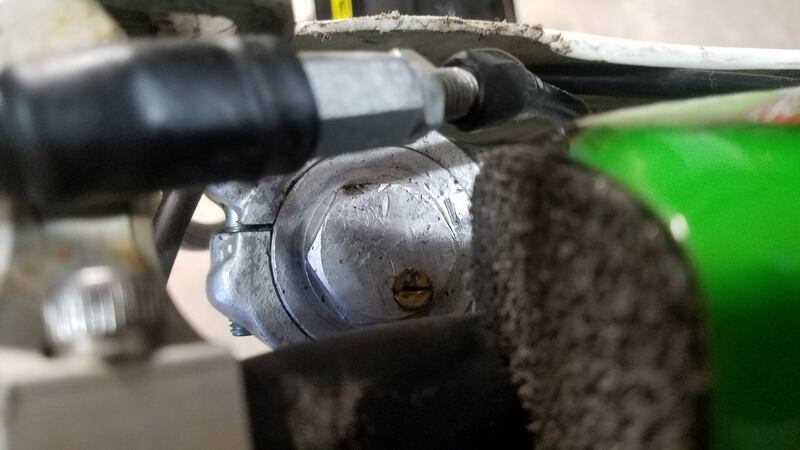 They look like early Kawasaki kx forks ...at a guess I'd say 1990-91 -92....if you look at the inside of the bottom of the fork where the axle is its possible its stamped kx 125 /250 or 500 .....you can measure the diameter for the size eg 42mm etc you can determine the year from those measurements ...hope that helps. 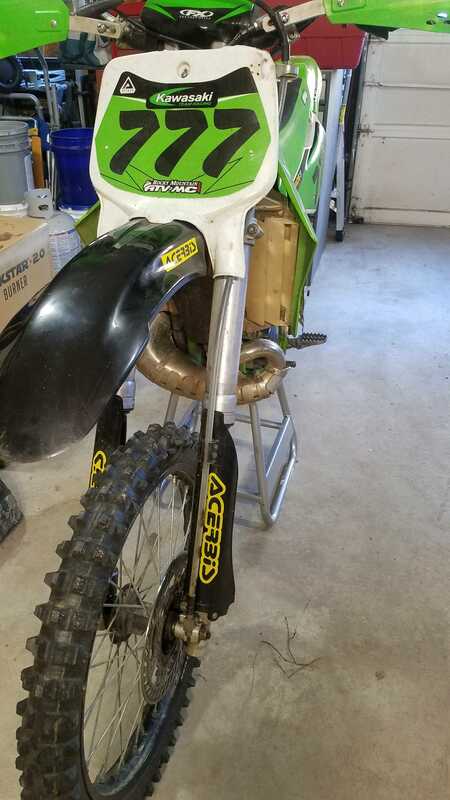 On second inspection it doesn't have the front axle clamps so can't be KX items , perhaps Kdx SR forks maybe ?? Thanks for the information! I don't see anything stamped on the bottom of the forks aside from the 200, but I did measure as best I could and they seem to be 42mm. I also just noticed what appears to be blue anodizing where the thicker part of the top tube meets the shaft. Almost seems like whoever had it at some point tried to remove all of the anodizing, but couldn't quite get all of it in that area? It looks like maybe 1993 - 1994 KDX200. They are not KX forks, as there is only an air screw on top. 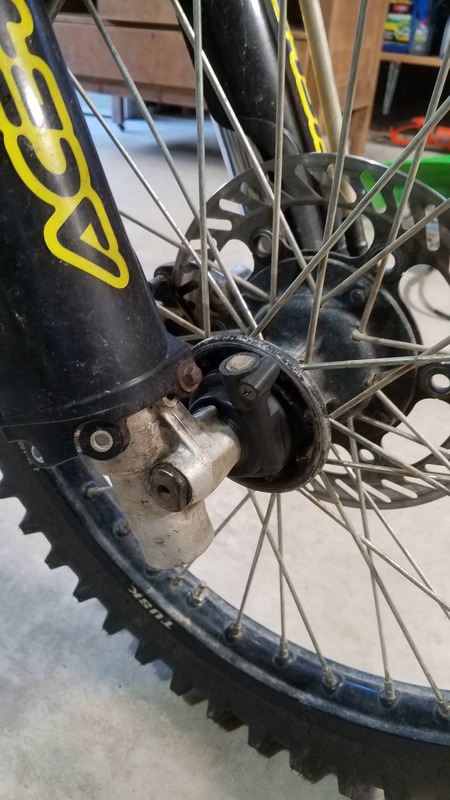 The lower triple clamp has one bolt, which is two on all KXs. KDXs had one. In my opinion, if the chrome inner tube is 41 mm in diameter, it is from a 1993 - 1994 KDX200. 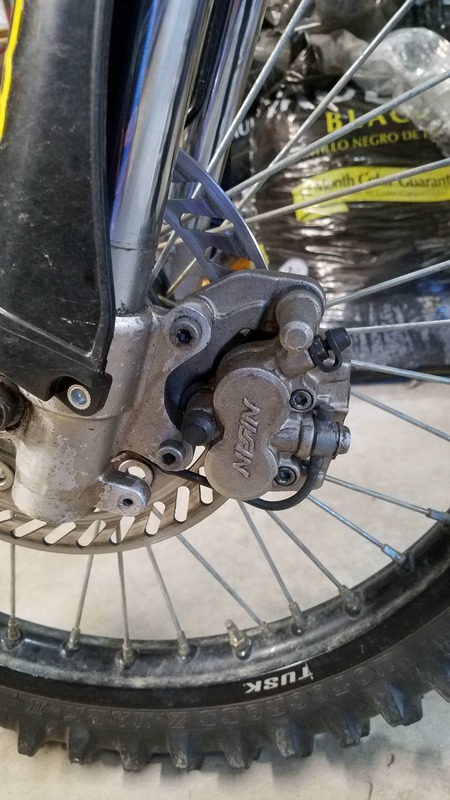 If it is 43 mm, it is from a 1991 - 1994 KDX250. Look on Partzilla at the parts diagrams to see how the axle is supposed to go, etc. Thank you everyone for pointing me in the right direction. I know where to start now and I have some more resources to use! 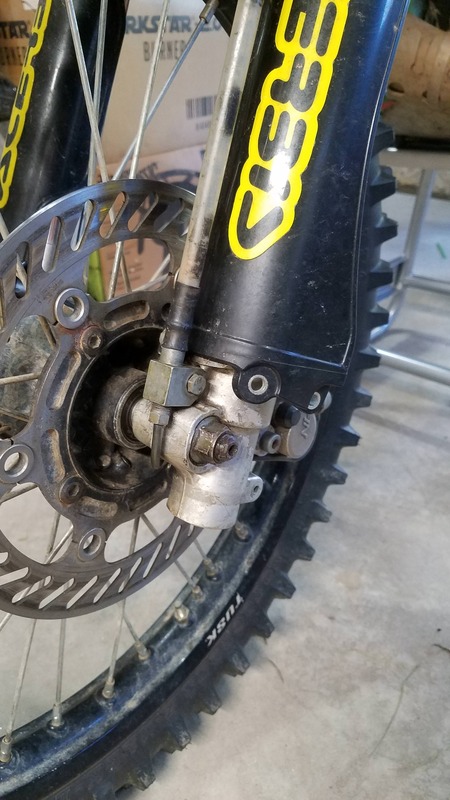 Are there casting marks to identify KX forks? Have a set that I need to line out. Hi. You might want to start a new thread instead of asking a new question in an old thread. Post some pictures, and we may be able to help.